The purple Mokara orchid, tropical and delicate, has lush, velvety petals and strikingly rich color that makes it especially captivating. Orchids represent beauty and love. 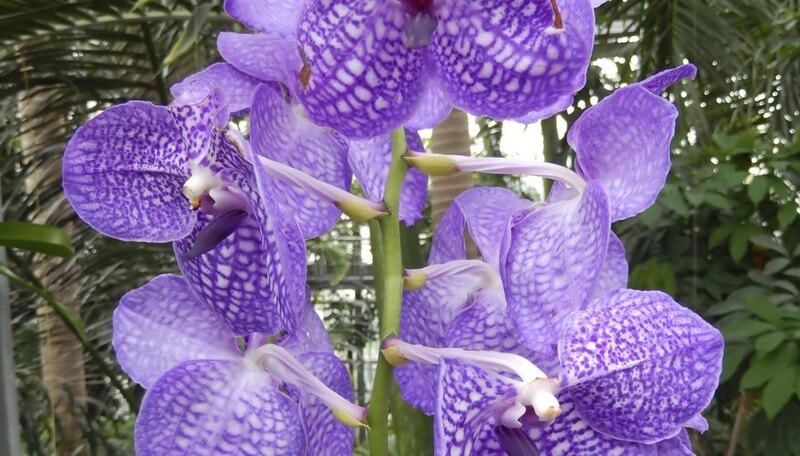 Purple orchids, especially, symbolize love. The purple Mokara's star-shaped allure is deepened by its color, traditionally associated with royalty and refinement in many cultures. 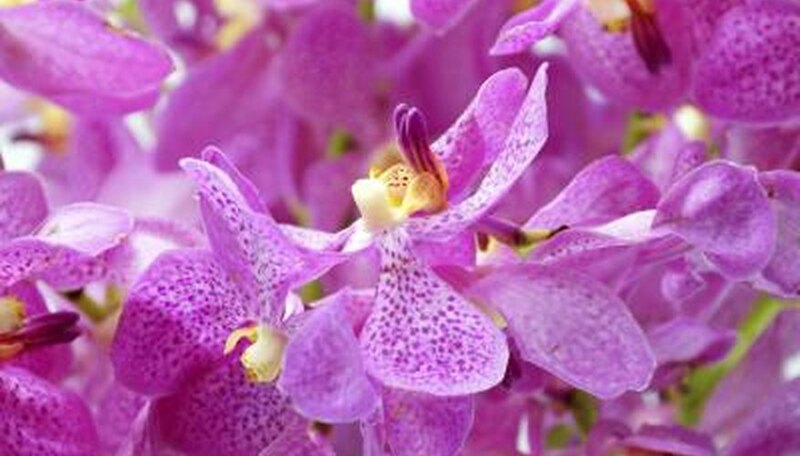 The orchid symbolizes love, beauty, refinement and beautiful woman. It is also the Chinese symbol for many children, thoughtful, maturity or charm. In Greek mythology, Orchis was a man of beauty punished by the Fates for his uncontrolled lust. He was torn apart by beasts and from his death arose orchids. 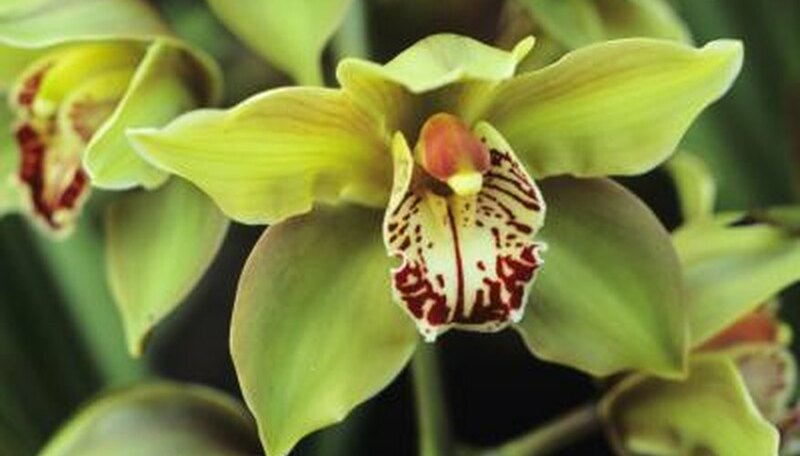 During England's Victorian era, the orchid was associated with luxury. 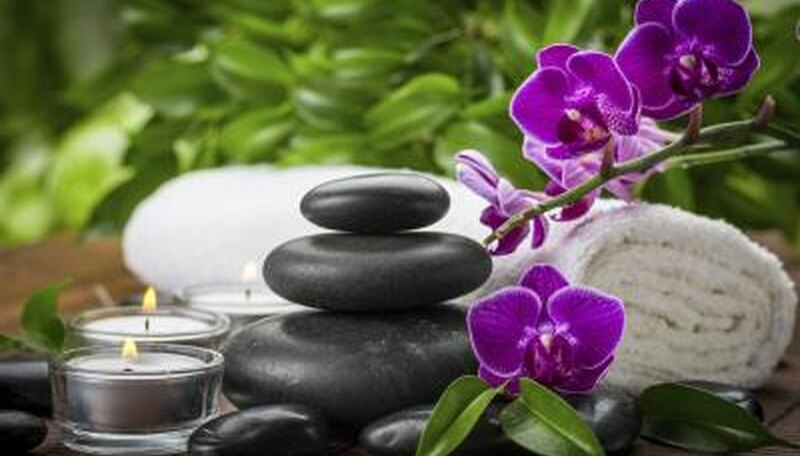 Today the orchid means refinement, beauty and wisdom. Mokara orchids are longlasting, exotic and trendy with the 30-something generation. They are popular in wedding bouquets because of their striking starfish shape, bright colors and delicacy. Mokaras have, on average six to 10 blooms per stem. Each bloom is 1 to 2 inches in diameter. In Hindu philosophy, each individual had three states of being: the causal body, the astral body and the physical body. In Sanskrit these are represented by the word "OM," composed of three letters A, Uo and M. A is Akara, the causal body or formless state. Uo is Uokara, the astral body or emotions, desires and thoughts. M is Mokara, the physical body, the state of form. 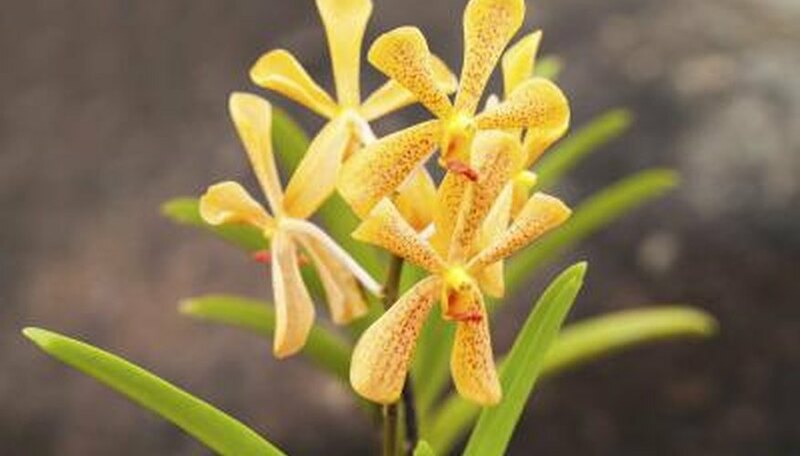 While the orchid is considered tropical, it grows wild on every continent except Antarctica. Its family has up to 25,000 species, more than any other plant. 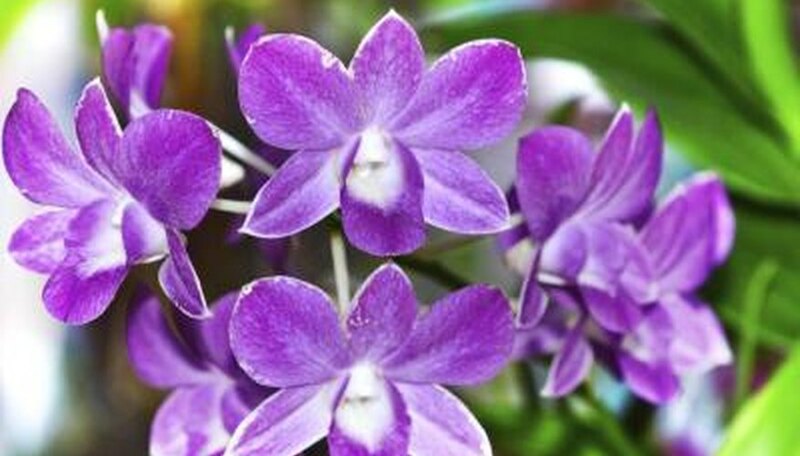 The orchid family also offers more variety in colors and shapes and have been known to reach a height of 20 feet. Considered mysterious and royal, purple is associated with both spirituality and nobility. Deep, rich purples suggest riches; light or lavender purples are associated with romance and delicacy. In Thailand purple was a color of mourning for widows. It was also a favorite color of Egypt's Cleopatra. It has long been associated with royalty in many cultures. Royalty and people of authority traditionally wore purple robes. Sherry Crawford has been a writer for more than 30 years. She started freelance writing in 1997, with articles published in alumni magazines for Minnesota State University-Mankato, Gustavus Adolphus College and the University of Dubuque. In Iowa, she writes for Kirkwood Foundation, Mercy Medical Center and the Greater Cedar Rapids Community Foundation. Crawford holds a Bachelor of Arts in journalism/English from the University of Minnesota.